Which one is your favorite? Let me know in the comments below and have a wonderful weekend ahead. loving the beach looks and wishing I was in one :p haha have a nice weekend beauty! Great picks! I love that cover up! First dress is really beautiful! Love that beach coverup from Nordstrom! Great picks!! 5love thr beach cover up babe! So pretty! You've got some really pretty picks here, girlie! I love that black and white dress especially! Thanks so much for sharing and I hope you have a great weekend ahead! I need to get to the beach soon! It's been so hot where I live! Love the oversized boyfriend shirt as a cover up. Loving all of the pieces girl! I really love that cover up, so chic! The white shirt dress is my favourite! So pretty and perfect for any casual outings. Love your collection here, amazing style! I love the kimono and white shirt cover up, they look fab! 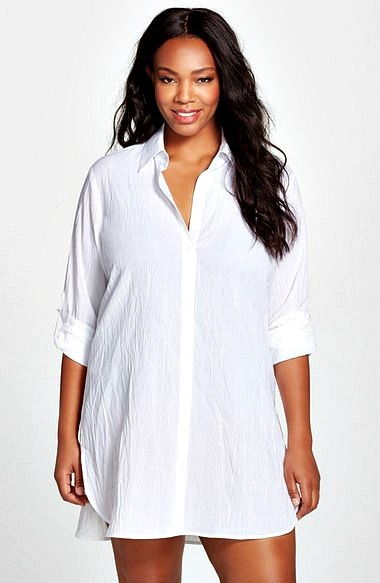 Love the relaxed shirt dress! what unique summer looks! very fun! So many amazing dresses! I simply loooved the red one, but the last one in black and white is amazing! Hope you have a nice weekend! Love the last dress> Nice picks and thanks for the visit. That maxi dress is so pretty. I love the monochrome print. Oh, those black and white dresses are absolutely gorgeous! Dresses to DIE for! the black and white one especially. Hi Nina... All of these dresses are awesome but I especially like the boyfriend cover up, the red dress and the black and white fringe. Totally awesome. Thanks for sharing.